Last weekend was a great step for the Limitless Fails Gaming Group. 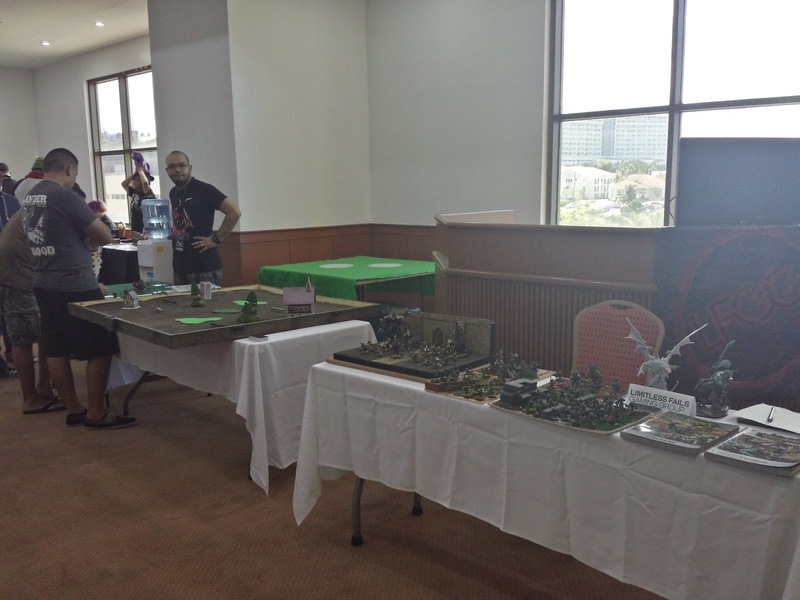 We had a booth set up at Otaku Recon, marking our first “big” convention. Recon was not our first convention hosted by Kai Productions (we had a booth at EpiXcon), but it had the largest reach. 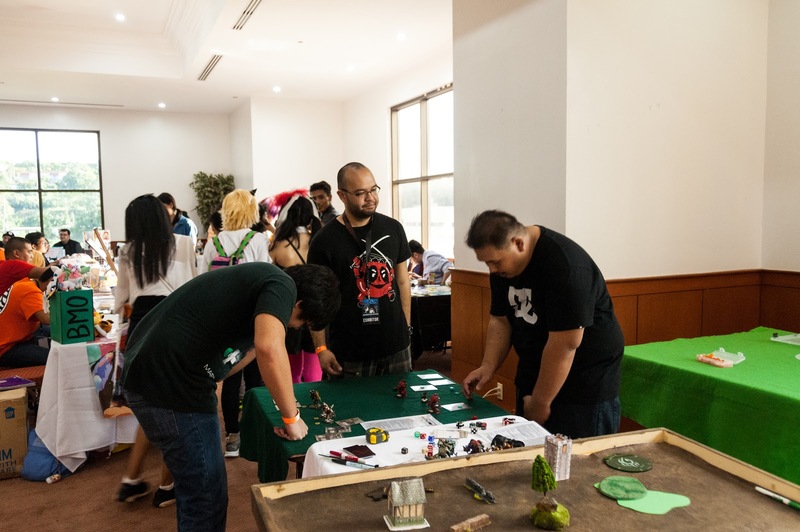 Our experience at EpiXcon was a great first step and we tried to make our presence at Otaku Recon even better. Our first step was a better display. 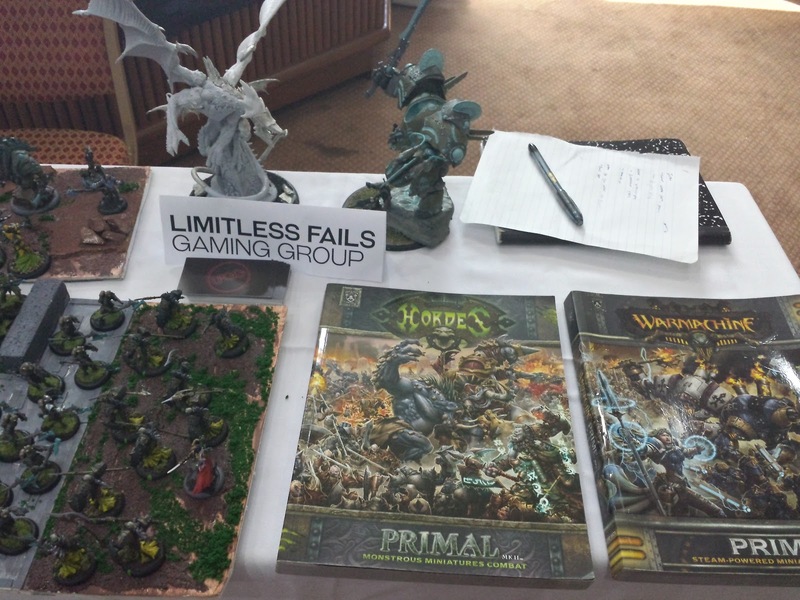 A bunch of models on KR cases and felt are a good first start but a diorama display board would have been better. 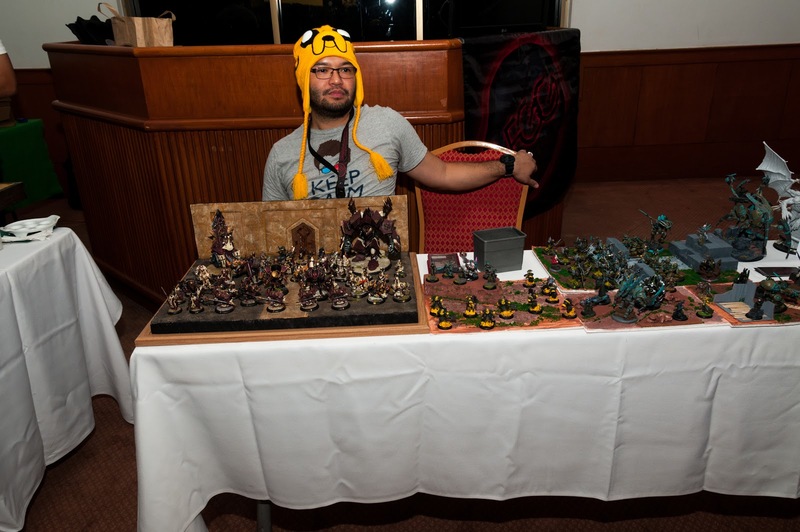 I made a Protectorate of Menoth display board and other members made smaller diorama pieces. 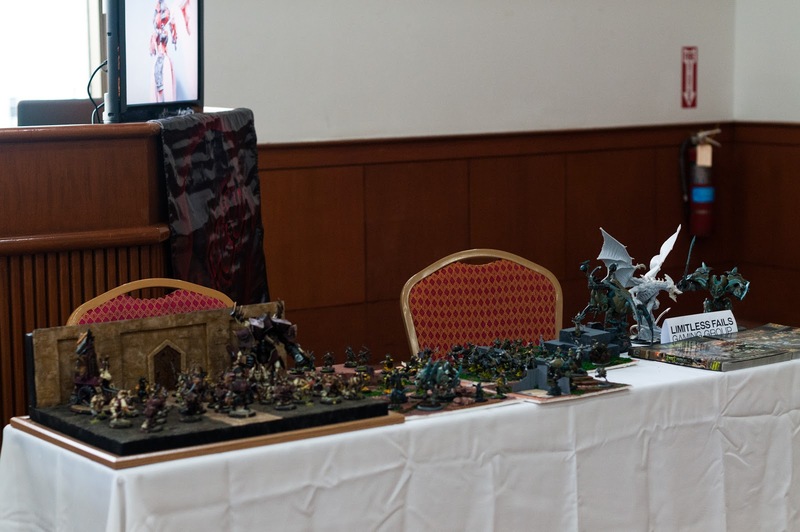 In the future, I would like to build a large diorama or at the least a thematic gaming table. We also made business cards to hand out to people interested in the group. I had other ideas for Recon that I didn’t get to finish. I wanted to finish Reznik 2 but I had to choose between the display board or painting more of Reznik. I figured the board would make a bigger impact in presentation. I also wanted to build more terrain pieces for gaming tables. I have watched a few terrain tutorials and wanted to try to build houses and hills. I wasn’t able to start these projects since I did not finish the display board or Reznik. 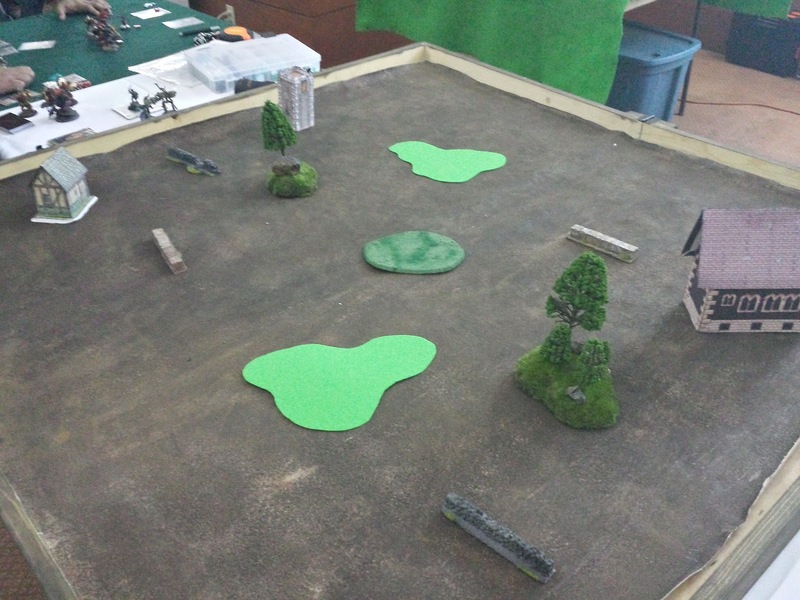 Hopefully by next year we will have enough terrain for a few tables. 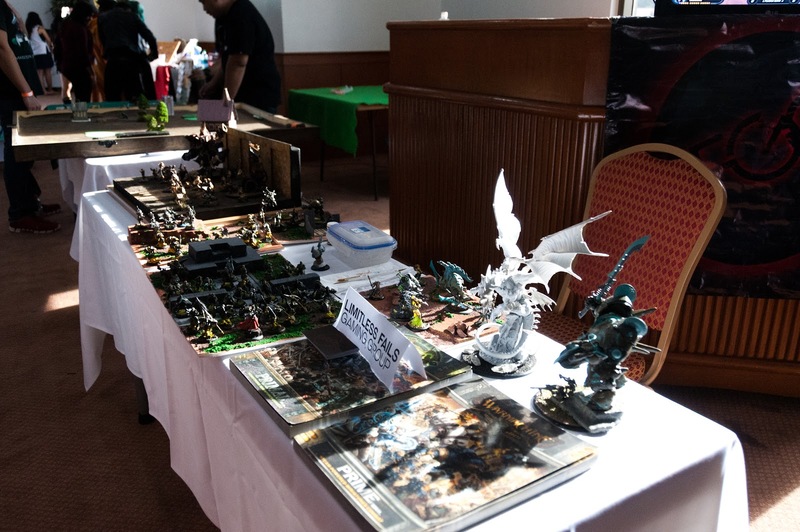 We had a great turnout with many people interested in the hobby. 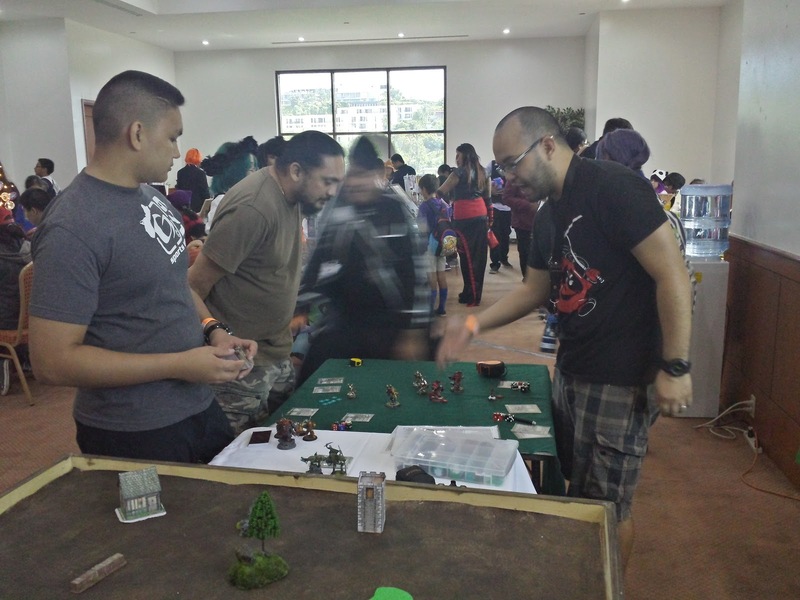 We did a few demo games for people interested and some even came back for a second game. 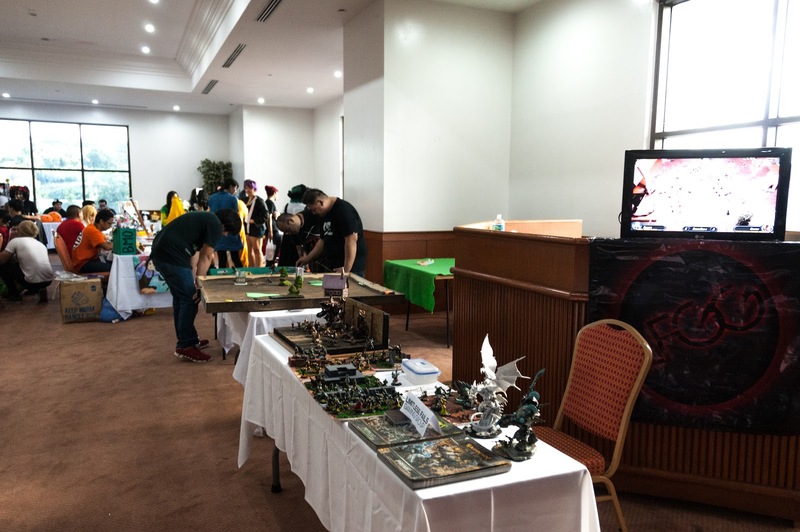 I hope we can keep the momentum going and get more people interested in the hobby. 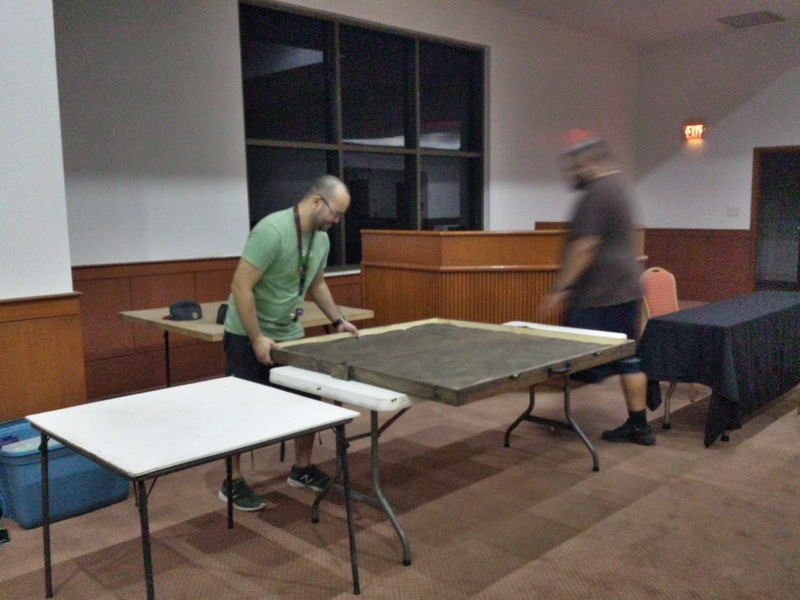 Check out some of the pictures from Otaku Recon posted below.